Apostasy begins with sinfulness. Sometimes it’s corrected by repentance, sometimes not. If not, it’s the first slide toward apostasy. An example of how apostasy is born of sinfulness might be that a woman wants to live with a man in sexual sin. Someone from church approaches her about her sin, and she rejects it as sin, perhaps saying that “The Bible never explicitly addresses this,” or “Only Paul wrote about that, not Jesus”. They present an excuse that in some way rejects the authority of the word of God. They might be approached about it again, and reject again, saying, “The Bible never says we have to gather for church, I’m going to worship at home.” Then after a while they don’t worship at all. They hang around with like-minded people who affirm their sin, they sin some more, and eventually they abandon the faith totally. Francis Chan has been the object of much ink of late. Chan is a former graduate of The Master’s Seminary. He started Cornerstone Church in Simi Valley CA in 1994 with his wife and 30 other people. Eight years later the church had grown to 1600 members. By 2010 the church was a bona fide megachurch, and Chan decided to resign. His reasons were, among others, due of the failure of the people in the church, Chan said. They ‘weren’t using their gifts’ and they were only ‘sitting around listening to my sermons’ Chan explained. It is ungracious and unhumble to blame your members for your departure. After 16 years no one would really fault a pastor for ‘feeling called’ to move on to another pastorate or position, though leaving the church you started IS a very big deal. However, to blame the resignation on your congregants and not yourself reveals a great deal about a pastor. It wasn’t even true. According to this essayist, the members were using their gifts and vibrantly serving. If your members are not using their gifts, whose fault is that? Were they false converts allowed in as members to a rapidly growing church focused on growth and not souls? Or were they genuine converts not using their gifts due to unaddressed sin and thus a failure of church discipline? Both of these reasons lay at the pastor’s feet. His second reason for resigning from Cornerstone Church was that his church ‘cost too much to run.’ He felt that there were too many wasted dollars. Chan continues at length in the above link and in other interviews about the money. In fact, his subsequent project, We Are Church, a house church movement, touts that it’s free and costs nothing. Not even the pastor gets paid. Hmmm. Isn’t that a violation of 1 Corinthians 9:14? He readily admits that the church was loving, giving, hearing the word of God, and vibrant. Yet “Something was missing.” I recall Sarah Young saying much the same thing when she stated why she wrote the heretical book Jesus Calling. ‘The Bible wasn’t enough’, and she yearned for more. So Chan resigned from the church he founded, even though he said “God was stirring hearts,” “There was so much life at our services”, and “Lives were being changed.” He said, “There was no church I would rather have been a part of.” Yet…for Chan, something was missing. Remember, apostasy is inner sin, the flesh wants something other than Jesus. That is clue #3. First it was disappointment with the churches he had been a part of, despite his own church admittedly doing well. Secondly it was a feeling that he needed to “rethink church”. The normal church model had disappointed Chan. Chan wrote that many people want the early Acts church’s “unstoppable power, miraculous love, and outrageous sacrifice of the first church” and in order to get that, it is more likely found in home churches, not the regular structure of churches ‘in big, expensive buildings’ we have come to know. In other words, he yearned for more. It can be said that though megachurches are more difficult to manage, Charles Spurgeon’s church was mega, and clicked long just fine. There were regularly 800 or so weekly in his “Boiler Room’ AKA the prayer closet in the basement. John MacArthur’s Grace Community Church is a megachurch that also does well. 900 volunteers last week served in various areas at The Shepherds’ Conference. There are many small groups and fellowships ongoing. Megachurches can work just fine. Well they don’t have as much to offer, at least as far as biblical insights go. A new Christian needs the word explained to him so he can be trained in righteousness and teaching. (2 Timothy 3:16-17). This is stepping stone #3 on the dark road of apostasy. We’ve seen Chan’s disappointment with his former churches. His ungracious throwing of his former church fellow members under the bus. His discontent with traditional church model. He mourns that “all the gifts aren’t being used” (Code for being a secret continuationist). He leaves church. He hears personally from God. He rethinks church. He creates a home church model that has no eldership in authority. He unhitches from the Word explained in a sermon. He begins to speak at heretical churches and partners with heretics. In 2018 Chan revealed that he is a continuationist, and likely always has been. “All his life” he’s felt a “disconnect” between voices in his head & inner feelings, and “what I would read”. He said he previously preached through Acts, but he “didn’t like reading Acts.” [the 6:40 mark & onward]. He now believes it was “the worst sermon series in history.” Why? Because though he preached, it “I didn’t believe it” [that the gifts in Acts were only for that generation]. Chan has admitted publicly that he wants to speak in tongues. He has asked God to give him that gift. He believes speaking in tongues is possible today. He pleaded with the IHoP crowd to affirm Chan as a brother to them even though he doesn’t speak in tongues. And remember that it was allegedly God who spoke to Chan in telling him to start home church network in back in 2013. Note that a “voice from the sky” also told Jennie Allen to start the IF:Gathering, a parachurch discipleship movement separate from the church. Very worrisome is Chan’s stance on the role of the sermon. I’ve read and listened to buckets of material in preparation for this essay. One constant thread is that Chan disbelieves that a person should preach from the word authoritatively, explaining it to hearers. It’s one reason he said he was quitting the church he founded. It is a hard and fast practice of his home network not to preach. Chan is fascinated with Acts and the notion of a group breaking bread in homes and poring over scripture together. This is a good thing of course, but it is not a substitute for regular church. To Chan, it is. He doesn’t think people should ‘show up just to sit and listen to him’. He mentions it again and again in various sermons (But that has not stopped him to speak incessantly through the year at mega conferences where people show up just to sit and listen to him). This is the first time I’ve ever been to an IHoP event. It’s kind of crazy to me, because I didn’t know that much, so I kind of went on the internet and started looking things up. And, man, there’s a lot of great things going on here. As I mentioned, apostasy is a process. Hebrews 2:1 says “We must pay more careful attention, therefore, to what we have heard, so that we do not drift away.” The moment Chan left his church (and I have not been able to discover if he is in submission and fellowship at any other church since then) and formed a home church movement that deliberately did NOT teach the word of God to the people, he was well on his way to apostasy. Francis Chan sadly is apostatizing before our eyes. He hasn’t just begun. He isn’t in the kiddie pool. He is in the deep end, swimming with sharks, coyly denying that they’re sharks in the first place, and saying the water’s fine. I value what my wiser brothers have had to say on this subject the past month. I’ve read most of it, and I’ve pondered and thought deeply. I’ve watched Mr Chan for many years, because I know many young people who like him and are confused by his actions and words (because they don’t match up). I write this with no joy. I pray he comes back to the fold, and reconciles his errant views on the role of and structure of the church, the role of pastors, his partnering with and affirmation of heretics, his direct revelations, and his stance on the continuation of charismatic gifts, before it is too late. Dont have a lot of time right now but am interested getting more info. Chan said it is not his practice to research. One quote saying he did some research does not constitute practice does it? Are there other sources? Also any sources on where he affirms the names you mentioned? I may have missed them. Thanks. I will check them out. What about the first question? You do not respect my opinion. You admit “haven’t researched and disected his words enough to know how much credibility this article deserves” yet you felt free to impugn my character, this article, and the research. That’s DIS respectful, Jonathan. You’re full of opinions without knowledge – too lazy to do the work before quickly pressing send with your opinions, none of which even responded to or mentioned the 18 links to primary sources, or any of the scriptures or any of the direct quotes. If you want to do more praying that’s up to you. You actually have no idea how much praying I do, because you didn’t ask. Elizabeth, I’m a little disappointed in your response to Jonathan. He was very respectful in his comment, but you came back with guns blazing. It came across like “How dare you question me? !” I’m not saying that was actually how you felt, just that it came across that way. Of course we should warn others about apostates. However, I believe that is a very serious accusation that should be wielded carefully. I appreciate your research, but, like Jonathan, I disagree with some of your conclusions from your research. It’s okay to disagree with one another, and we should be able to disagree with love. Thank you for your correction and comment Kari. I apologize if I was too rough. Jonathan replied with a lenghty comment to mine, and in it, he accused me of having an agenda. I deleted it. I am sorry if I was harsh, that’s no good. But I also know from years upon years of dealing with public comments in newspapers as editor and as a blogger, when someone is commenting honestly. Your comment is honest, even though it’s a gentle rebuke. I published it. Jonathan’s wasn’t, and his long reply with the “you obviously have an agenda”, I’m “promoting division” and I “simply make no sense” was not. I’m all for having a discussion with folks who disagree, but disagree on the facts please, from the article, and not resort to a hominem as the basis for discussion. Either way, I should be more polite, so I apologize to Jonathan and all readers. PS, Benny Hinn preaches that Jesus died and rose from the dead. is Hinn OK with you? Joel Osteen the same. Joyce Meyer the same. Are they OK? Be discerning. heretics are out there, as well as people like Chan who aremoving away from orthodoxy in practice as well as word. AMEN Elisabeth, to your article and to your responses! We are witnessing before our eyes apostasy, it is sad. I kept following in disbelief pastor Chan on line what is he doing and what he will say next, for quite a while. I believe that people who do not mind much what pastor does or who he hangs with, anything can go and be done ” as long as pastor is preaching Lord Jesus”, it doesn’t really matter type people – are NOT true born again believers. While the association of Chan with Hinn and members of that ilk is HIGHLY concerning, I reject the slippery slope logic that “Cessationists that turn into continationists that turn into charismatics, always apostatize.” Always apostatize? I find that highly reductionistic. We can point to valid concerns without blanket statements like this, especially when many orthodox preachers and theologians of the past have been continuationist in their experience and theology. See the life and ministry of Martyn Lloyd-Jones. Heck, perhaps the greatest reformed preacher of all time said God told him things directly: George Whitefield. Do we dub him a heretic because we may disagree with his theology on this issue? Hardly. I agree with some of your concerns, but much of this argumentation is overly generalistic and unhelpful. Follow the progression- you cut it off too soon and made a straw man argument. Unhelpful. I said that continuationists that turn to Charismatics always apostatize. MLJ was never a charismatic like Hinn. I have not heard of George Whitefield accepting personal direct revelation, definite words, in quotes, like Chan has, and a quick search didn’t find confirmation of that. Genuinely curious what the line is that seperates “continuationist” from “charismatic”. Is utilizing “definite words, in quotes” from the Lord diferentiating criteria? I do not think Whitefield ever claimed his spoken words to be derived directly from God through personal revelation. Re-scouring biography and cannot find anything to that extent. He used terms like “guiding” and “inspiration” and “assistance”–said “the Holy Spirit made him do things”. There was much accusations of enthusiasm from anti-revivalists, as well as criticism from Edward Wigglesworth and Jonathan Edwards. I do not believe he ever claimed infallibility–though do all charismatics claim infallibility? Thanks for clarifying. We’re all guided by the Spirit, inspired by Him, assisted by Him, the scriptures illumed by Him, etc. Chan claimed to have heard specific words from God and repeated them to a listening audience in a sermon. When one claims to have heard directly from God, whether audible voice, dream, or experience, it’s not a providential guided kind of thing. It’s direct revelation and it violates Deuteronomy 4:2,Revelation 22:18-19 scriptures that say do not add to His word. So yes, there is a distinction. One is a normal ministry of the Spirit, one is disobedience to a command from God. Thank you, I will listen to the Lawson sermon. I am perhaps closer to you than I realized. Either way, sad about Chan. As for the dreams I am curious what you make of the phenomenon in the muslim world regarding Jesus visiting many in their dreams? Would you make a distinction between this supernatural introduction to Jesus to someone burdened by false religion, and a person receving some new doctrine or relevation in his sleep? There is a book called “Dreams and Visions” by Tom Doyle which attests to this occuring in massive scale throughout the muslim world. Not here to fight just curious. Having been a part of Simi Valley Cornerstone from the beginning. My son through discipleship and in leadership for years there. Myself Sitting with Francis Chan one on one, in groups and even weekly He and I on the streets of Simi Valley speaking about Christ to others because we see or run into each other, at a stop light or gas stations etc.. Students from Eternity Bible college he started, living in the guest house at our place and having direct fellowship with the Pastors and Professor instructors over years. Including his return from Asia, to San Francisco off shoot ministries through others, which are many and my son. I watched and followed his ways, Statements and associations. Then carefully reading and reviewing this Article with a personal experience of connection, I could not Agree more with it in its accuracy and Discernment as if I wrote it myself. It would go even deeper in my opinion. I KNOW of him being completely Apostate with these Heretics with his complete for knowledge going in. He’s even spoke against sound Pastors, and leaders that warned him over time. I’ve heard him state, he’s surprised that God has aloud those that speak against the Heretical teachers like Rick Warren and not killed more people for speaking against “Men of God” in his perspective. This is a scary Apostate View in my opinion. I love the man on a personal level. Pray for him, but the article is spot on regarding Francis Chan. I appreciate your comment regarding continuationism always leading to apostasy. All cults practice it. Years ago, a friend recommended that I listen to Chan. Five minutes was enough for me and this was before his diving off the deep end. My dear old homiletics prof, who lead me to Christ, would have flunked him. His rambling, disconnected presentation was awful. 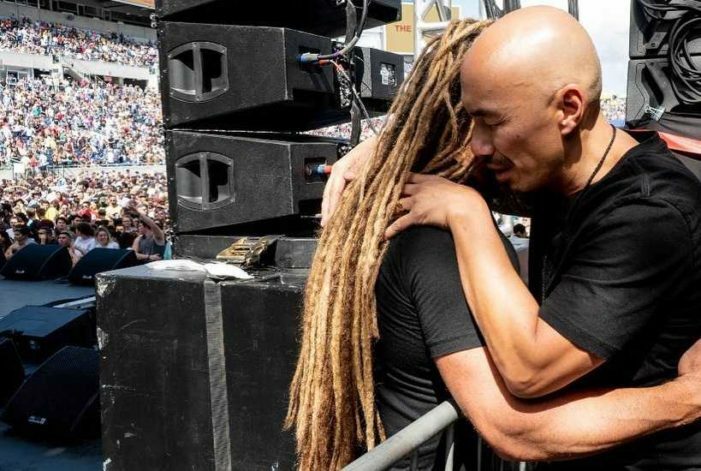 Can you share the video where Francis Chan is rejecting or denying Jesus Christ as Lord and savior so we can check it for ourselves..thank you and God bless. Chan is not fully apostate. I’d said in the essay that he is on the way. It’s a process. A full apostate denies Christ. Example: Charles Templeton partnered with Billy Graham in the 1940s and was widely seen as the better evangelist between the two. Eventually Templeton totally rejected the faith. That is an apostate. Someone who is on the path of apostasy but not fully rejecting (like Chan) behaves sinfully and unrepentantly or begins to deny Christ by his actions or lifestyle. Example: Chan SAID he rejects prosperity gospel. Yet Chan partners with prosperity gospel preachers, speaks at their events, and affirms them as men of God. Example: Heretics such as Todd White or Benny Hinn (whom Chan partners with) verbally affirm Christ. Yet they are heretics who deny Christ. If a false teacher got on stage and said “I deny Christ” then you’d know that he is false. Yet satan is more subtle than that, (Genesis 3:1) and discernment takes more than seeking one blanket statement to determine whether someone is false or heading that way. A lot of Chan’s ideas on the church in Acts and what this equates to reminds me strongly of “illuminate” with Jamal Jivangee, who is STRONGLY iopposed to a Pastor, a church building, etc. I struggled with the desire to be a part of what the body of believers looked like then and what I was seeing every week with my church. His writing was very, very persuasive. One article he wrote was titled something to this nature, “The truth is hiding right under your nose”. It was SO convincing. One day, it all just felt wrong and I deleted everything by him. He also has a friend, Frank Viola, that was promoting a “new country”, I think he termed it. Elizabeth, do you know anything about these two men in what they’re teaching to readers? Thank you for reading! I had heard of Frank Viola but not Jamal Jivangee, thanks for the heads up! I saw from a very cursory Googe search result that Jivanjee believes in ‘organic church’ AKA house church, and promoted on his podcast the benefits of another couple having taken a two year ‘sabbatical’ from church. I’ll keep my ear to the ground. I wonder if Chan and Jivangee will ever partner up like for writing a book or speak at a conference.